Ron Carper’s gorgeous 1967 Camaro RS convertible makes its debut at the Cleveland Rocks Chevy Show. 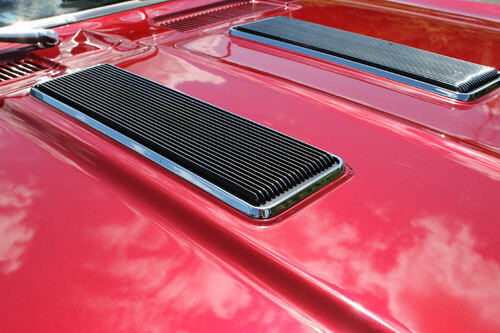 Growing up in northern Michigan, I was always fascinated with cars. When I was a teenager, I hung out at one of the gas stations in our small town. The owner asked me if I wanted to help tear apart a motor he was working on, so I ended up doing my first engine job at the age of 14. That experience kick-started my desire to work on cars. After graduating high school, I purchased that gas station and owned it for a few years. Then I went to work for General Motors in Flint, MI. In my spare time I was still overhauling motors and working on cars. In 1983, I transferred to the GM plant in Marion, IN. In Marion, I started getting interested in classic cars. 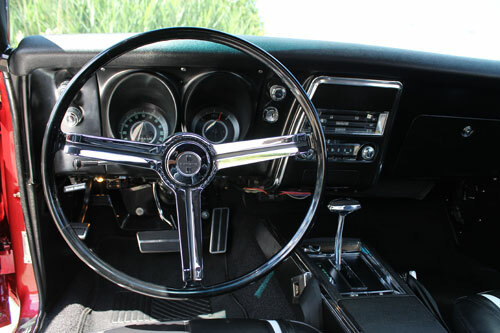 The first classic I purchased was a 1968 Firebird Convertible. A friend of mine who moved to Florida saw it and wanted to buy it. Then I bought a 1957 Chevy called “Poison Ivy”. In 1996, my wife Darlene and I drove it to Florida for the Classic Chevy Winter National event held at Old Town in Kissimmee, FL. We won a Platinum award, and first place in our class. It was such a great experience that we were hooked on showing cars in Florida! Next, we restored a 1955 black Chevy hardtop. We drove this to Florida 3 years in a row and received Platinum awards each time. 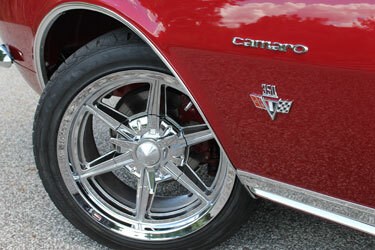 Over time, I became interested in Camaros and restored a 1967 hardtop that I bought out of Mark’s Body Shop in Fort Wayne, IN. We finished restoring this car, drove it to the Winter National in Florida, and scored 997 out of 1000 points. The next Camaro that we restored (a ’69) we bought from my boss at General Motors. He was being transferred to Michigan and he wanted a boat instead of a classic car. We drove it to the Winter National and it was on the cover of Camaro World for April of 2004. 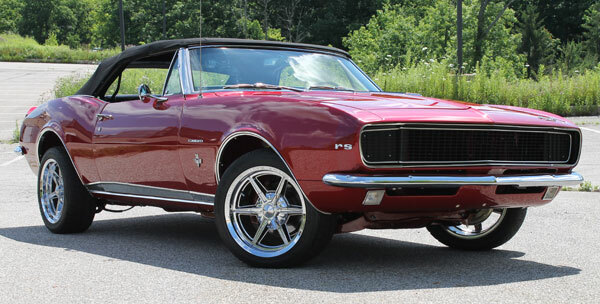 Our current Camaro– this 1967 RS Convertible shown here– was painted at Mark’s Body Shop in Fort Wayne, IN in 2005. Then I had some serious health issues and wasn’t able to finish it for several years. 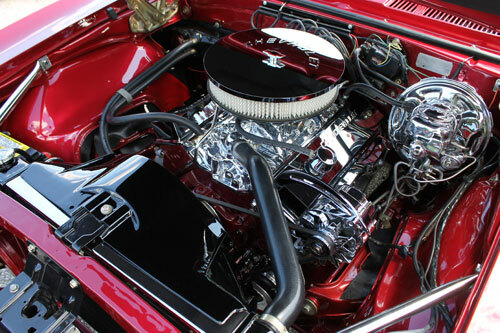 After completing it, I still wasn’t able to take it to my favorite show– the Chevy Nationals in Kissimmee. So, my wife and I decided to take it to the Cleveland Rocks Chevy Show (put on by the Classic Chevy state reps), over the 4th of July weekend in 2014. We received a Platinum award and scored 989 points out of 1000. 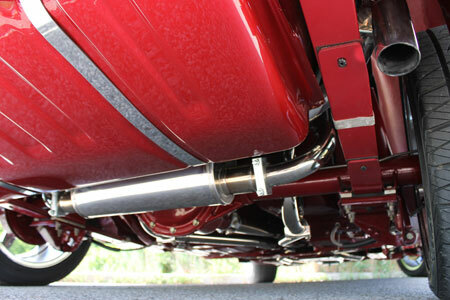 I have done most of the restoration work myself on my cars, with my wife of 52 years– Darlene, helping. We’ve done the work in our home garage. We are now building a black 1967 Camaro RS/SS hardtop that we bought out of California. We’re also working on a 1936 half-ton Chevy truck that I bought in Montana.